Group portrait of the cast of "The Merry Wives of Windsor" in costume by the Walker Art Building. Center, seated on table, left to right: C.D. 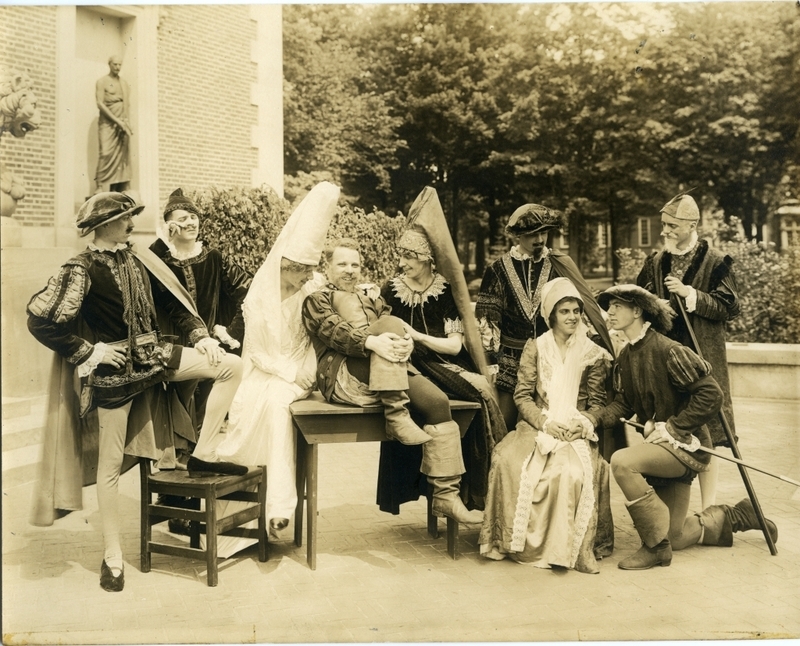 Rouillard (Bowdoin 1924) as Mistress Ford, Phil Wilder (1923) as Falstaff, and Glenn McIntire (1925) as Mistress Page.